Welcome! Thanks for stopping by. The goal of this site is to provide fans with a bit of insight in to my life and allow you a platform to get in contact if you want to know more. Thanks for the support! I most enjoy competing against: Clean athletes! Born in Minneapolis, MN, Will attended Minnetonka H.S. prior to his collegiate career at Pomona College in Claremont, California, where he earned a bachelor's degree in Applied Mathematics with a minor in Philosophy. While competing for Pomona, Leer was an eight time All-American and twice Indoor National Champion in the mile. At the 2007 Division III Outdoor National Championships, Will won the 1500 and 5000 meter races becoming the only male Division III athlete to ever win both titles at the same meet. 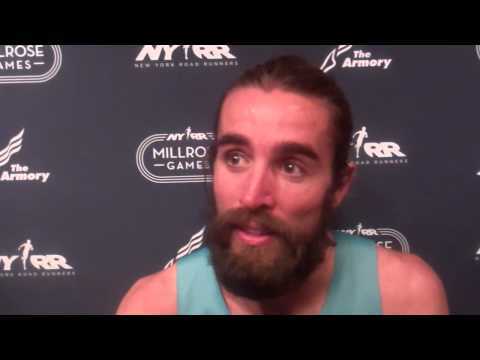 More recently, in 2013, Will had a breakthrough year, taking two USA Indoor Championships, in the 3000 meters and the mile, and began the 2014 season with a victory in the Wanamaker Mile. 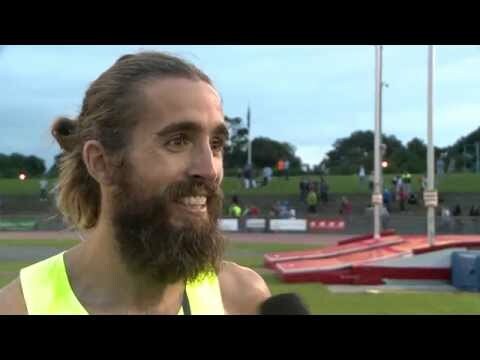 On the track, Will is well known both for his tenacious sprint finish as well as his choice of facial hair: the mustache and the beard. Not only does his mustache have its own Twitter account, but it is a great conversation starter off the track, through which he takes the opportunity to show that behind the athlete is a person. Will has a passion for irony and humor, and loves to share these traits with others. He considers himself fortunate to be part of a sport with so many diverse and dynamic individuals, and appreciates every opportunity to run and speak with area high school track and cross country teams in order to create lasting and influential relationships. Being an informed citizen is important to Will, so when he is not training, eating or sleeping, he spends time reading about current events in the political, economic, and social spheres. Read more from Will at his blog: williamleer.blogspot.com.